Own a spectacular villa on Eden Island and you'll soon realise why so many people relocate and become permanent residents of the Seychelles. It’s well known that the Seychelles is one of the most revered holiday villa destinations in the Indian Ocean. With amazing natural features and a warm, inviting community it’s no surprise either. However, what one might not realise is that many of the people who holiday on these islands are so impressed with their experience that they purchase property here with the intent of relocating permanently. It’s difficult to resist the charm of the Seychelles or the island lifestyle that this country provides, and until recently it was complicated for foreigners to acquire official residency due to certain legislation that has now been updated. There are many tales and legends regarding the origin of the land masses that make up this archipelago, the most charming being the idea that these are the leftover remnants of the Garden of Eden. In light of this mythical tale, it’s apt that the newest addition to the Seychelles would be the man-made residential marina development known as Eden Island. This piece of paradise boasts a range of amazing villa for sale options and provides residents with a luxurious lifestyle and convenient access to the main island of Mahé, home to the capital city of Victoria. Contact us for more information regarding private villa with pool options. Eden Island is situated just off the coast of Mahé which is the main island in the Seychelles. It’s this convenient location that provides residents with easy access to the international airport, as well as a range of other attractions and amenities. Additionally, the Eden Island Marina has become well known for its exceptional facilities and caters for super-yachts of up to 100 metres in length, which is a bonus for those who enjoy sailing. Each property owner is provided with a private mooring either at the marina or on one of the many waterways found on the island. Additionally, many of the residents gather at The Boardwalk bar and lounge, which offers live entertainment and excellent local cocktails. In terms of residency, Eden Island luxury villa options are sold as freehold title properties. This allows the owner and his or her immediate family the opportunity to apply for residency in the Seychelles. There really is no place on earth quite as naturally magnificent and culturally rich as this corner of paradise; it’s no surprise that many people choose to live here throughout the year. 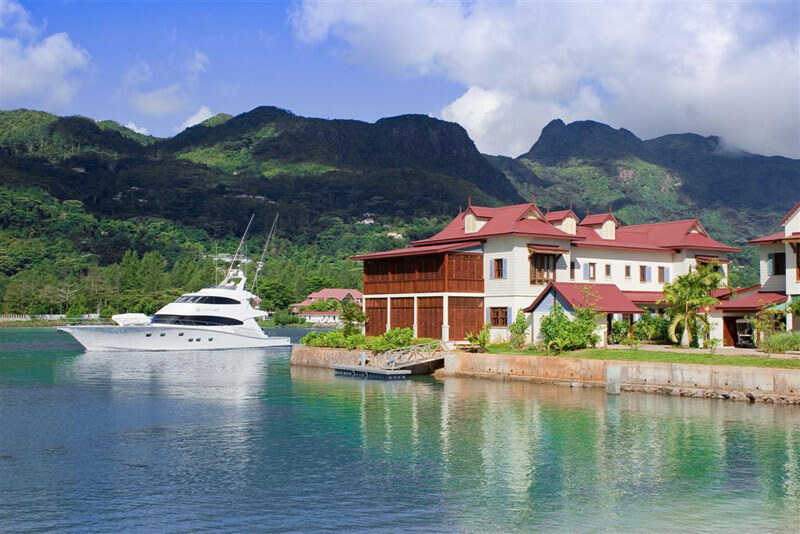 Live in luxury while you explore the sights and sounds of the Seychelles. Contact Eden Island and you could own a villa that is exclusively yours.